UNCONFIRMED: Armored Mewtwo Comin..April Coro-Coro Magezine To Inclu..Randy Pitchford responds to recen..Possible Persona 5 Switch news co..Super Mario Odyssey and Breath of..
A collection of cheats that will help you progress in the game. We've got cheats for unlimited power, easy money, and getting all the cars in the garage. Our hints and tips include a fast way to defeaat kings, how to beat Ryo on the first race and doing a burnout at the start of the race. 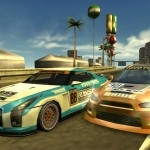 We have 164 questions and 523 answers for Need for Speed ProStreet. Check them out to find answers or ask your own to get the exact game help you need. 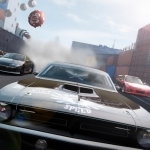 We have 9 Walkthroughs for Need for Speed ProStreet. We have several FAQ/Walkthroughs that will come in useful including a set ups and advice guide. 197What's your best drift score and with what car. 59Which was your favorite car in this game? This is your basic Need For Speed Introduction with burnouts and such. 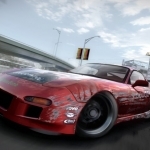 Its a nice enjoyable little..
Nfs Prostreet is the latest of the nfs series. It is doing great in the shops and is a big hit, bu..
Hi this is jamie duggan and I'm just saying the good and bad points of the game. Loading:when you.. 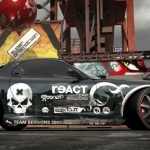 If you need cars,follow this cheat.(.. How you do a wheelie!!!? ?